• any attempted applications for new credit. Of these five items, the most significant component is your payment history. How well you were able to execute regular payments in a consistently timely fashion counts for a significant portion of your FICO score. What exactly are the details making up this category? We shall take an in-depth look to assess how it helps or hinders you to gather a line of credit and maximize your buying power. Knowing if your past accounts were paid off in a timely manner is worth approximately 35% of your overall FICO rating, and is the largest percentage of the five factors employed. Contrary to popular belief, payments which have been remitted beyond their due date are not immediate grounds for being declined. If you have a solid recent credit history, where the greater majority of your payments have been nearly impeccable and timely, this can serve to override some of the more tardy occurrences marring your credit report. This includes credit cards opened through Visa, Discover, American Express, and Master Card. Accounts opened at major retailers is also a participant to the process. These department store credit accounts can be at establishments such as Macy’s, Dillard’s, or Neiman Marcus. Loans on installment plans similar to car payments will be scrutinized, as well as mortgages from finance companies. Scenarios including foreclosures, liens, bankruptcies, suits, judgments, and wage attachments fall into this classification. Because these instances indicate grievous breaches of payment arrangements, they are viewed rather dimly by FICO calculating mechanisms. On the contrary, if an incident occurred many years ago, it will have less of an impact. This is especially so should the amount be diminutive. But if it is of a more recent circumstance, and of a much greater amount, the effect on your FICO score will be significant. The calculation of your FICO rating will be further determined by the number of delinquent payments, whether or not it happened recently or a number of years have already gone by, the balance of the outstanding account, and the amount of time lapsed after the date due. Typically, if a payment tendered thirty days late took place one year ago, it will hurt you more than a 180-day payment manifested six years prior. If you are fortunate to have an increased amount of accounts displaying timely remittances when they are due, you have a favorable track record that will only serve to push your FICO score higher. You will most likely be rewarded for your efforts in maintaining a good track record. In a nutshell, to raise this portion of your FICO score, you must pay bills on time and catch up as soon as possible if you have missed a payment. Do realize that paying off an account placed in collections will not entitle it to being stricken from your credit records. And if you are finding yourself slowly slipping into a precarious situation where you are unable to stay current, it is prudent to make arrangements with your debtors in order to help you catch up. At the very least, consulting with approved credit counselors will enable you to regain your financial footing and maintain your payment history. 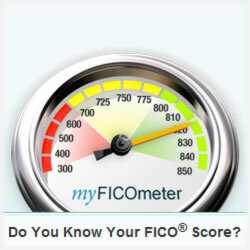 Thus, you will have done limited harm to a component comprising 35% of your FICO score.